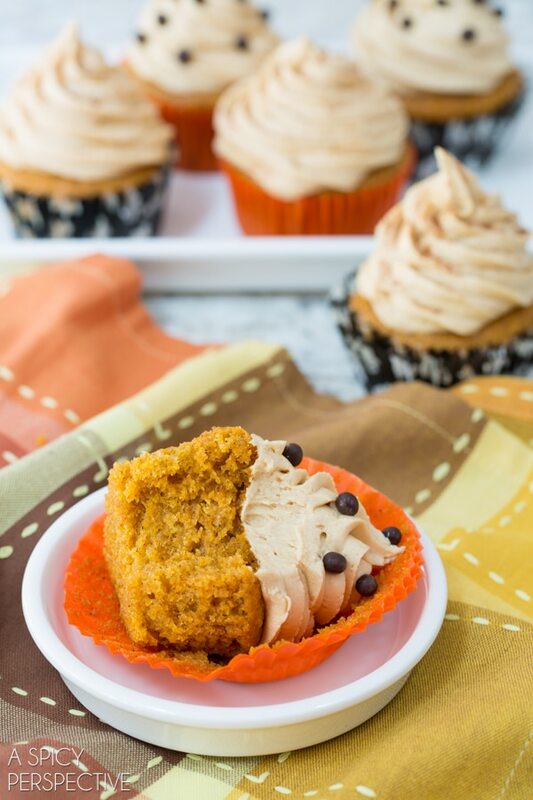 Moist and tender Pumpkin Cupcakes with Peanut Butter Frosting. A tantalizing combination of salty and sweet! When I close my eyes and try to dream up the perfect cupcake, two things come to mind. Pumpkin cupcakes are so moist with earthy depth and a touch of spice. While peanut butter frosting… is there anything better? The nutty sweetness of peanut butter frosting is perfected by a good dose of salt, making it the salty-sweet creamy dreamy end-all of frostings. In my opinion, of course. Pumpkin Cupcakes with Peanut Butter Frosting might just be my best cupcakes ever. I’m not kidding. I know, I know. This is not the most obvious flavor combination, but I promise you, it works! For bonus points, using melted butter and pumpkin puree as the liquids in the batter, means there’s no need to mix the wet and dry ingredients in separate bowls. You can actually use the same bowl through the entire baking process for easy clean up. See? I knew you would like these. Another endearing quality of these Pumpkin Cupcakes with Peanut Butter Frosting is that because they are so moist, they have a longer shelf-life, so to speak, than other cupcakes. I covered several of them in plastic let them sit on the counter for 5 days last week. And you know what? They didn’t dry out like most cupcakes. 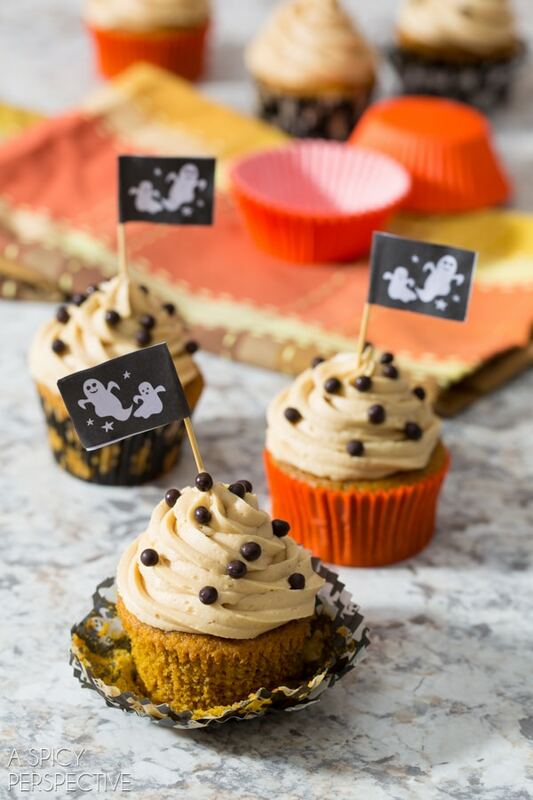 Pumpkin Cupcakes with Peanut Butter Frosting are perfect for your Halloween party this year, and would also make a wonderful alternative treat for pumpkin pie haters on Thanksgiving! Pumpkin + Peanut Butter is a sure deal. 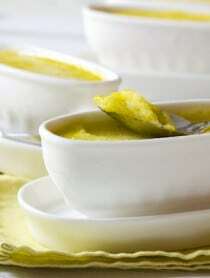 In a bowl of your electric mixer, combine the flour, sugars, spices, baking powder and soda, and salt. Mix well. Then turn the mixer on low and slowly add the melted butter, eggs and pumpkin puree. Scrape the bowl and beat again until the batter is totally smooth. Using a 1/3 cup scoop, fill the paper liners about 2/3 full. Then bake for 18-22 minutes, until a toothpick inserted into the middle of a cupcake comes out clean. Cool in the muffin tins for at least 10 minutes. 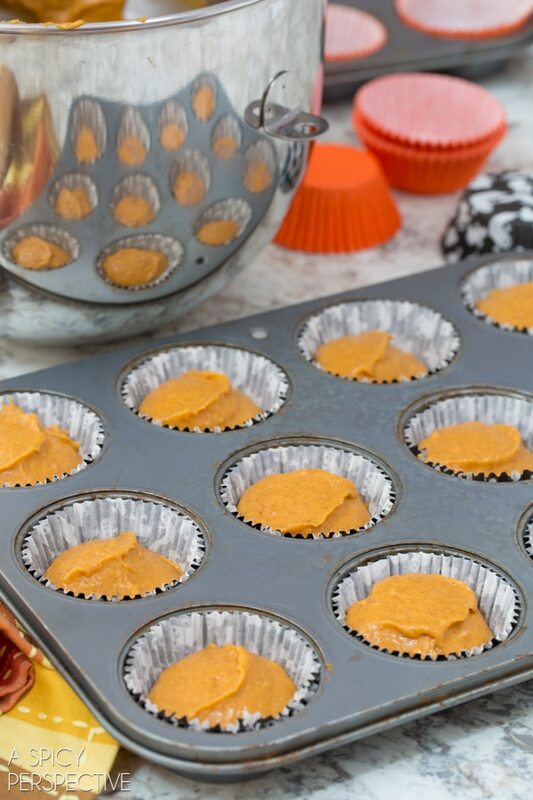 Flip the pumpkin cupcakes out of the muffin tins, and allow them to cool to room temperature before making the frosting. For the Peanut Butter Frosting: Place the softened butter in a clean mixing bowl and beat until light and fluffy. Add the peanut butter and beat again. Scrape the bowl, then beat on low while adding the powdered sugar, milk, vanilla and salt. If the frosting is too thin, add a little more powdered sugar. If it is too thick, add another tablespoon of milk. 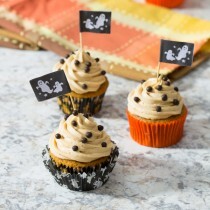 Scoop the frosting into a large piping bag with a large tip and pipe the frosting onto the cooled pumpkin cupcakes. To garnish, sprinkle with pumpkin pie spice, chocolate sprinkles, or top with a pumpkin candy. 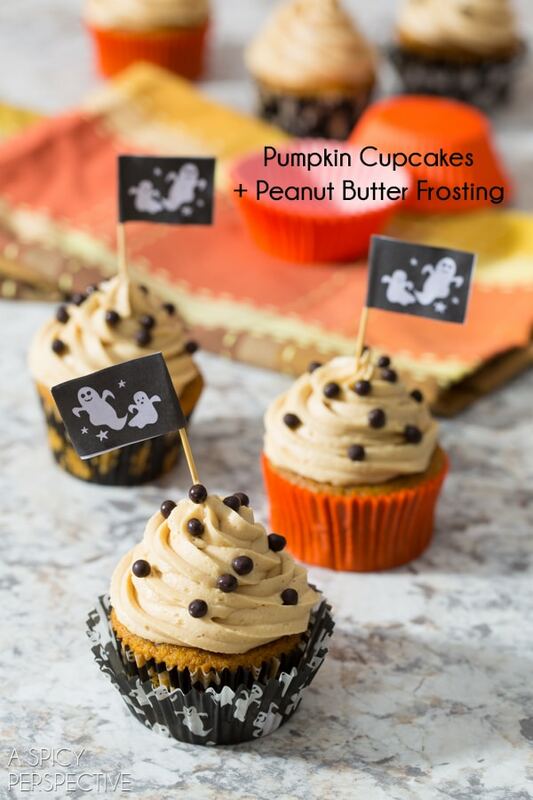 I have never thought of pumpkin and peanut butter together, but these cupcakes look amazing! I will totally have to try them! The peanut butter frosting on these cupcakes is perfect! Pumpkin and peanut butter are two of my favorite things. I never would have thought to combine them! So fun and they look delicious! Sounds amazing and adorable too! Love them! Hi, I would love to try these can you please confirm what “pumpkin pie spice” is? Is this a pre mixed blend of spices? I’m based in Ireland and we only have tins of pumpkin purée at certain times so I picked up a few and these sound Delish for my first experiment!! Hi Therese! It is a spice blend, traditionally with cinnamon, nutmeg, clove, and ginger. It’s usually heavy on the cinnamon. 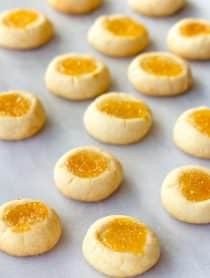 Let me know how they turn out!! Pumpkin and peanut butter is such a wonderful combo. I just made pumpkin peanut butter blondies yesterday – so good! I bet these cupcakes are amazing as well. These look SO GOOD Sommer!!! I am drooling on my key board! Ok, peanut butter goes with EVERYTHING in my book! I am loving this combo. What an absolutely delicious flavor combo! And I love that they stay moist for so many days!!! I’m so in love with these cupcakes! Beautiful cupcakes! 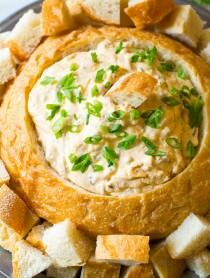 Love the flavor combination – two of my faves!! Pumpkin, and peanut butter — I would have never thought to pair the two together — sounds delicious though!! YUM! One of my all time favorite combos! I’m thinking I need to make these for my little niece this weekend! Love the flavor combo!! The frosting is so pretty! Oh yah!! Bring on the cupcakes!! Love this flavor combo…these are gorgeous!